Taiwanese-American violist Jessica Chang is dedicated to sharing her love for music through presenting chamber music in accessible ways. As the founder and director of Chamber Music by the Bay, Jessica brings interactive concerts and programs to over 1,600 youth throughout the San Francisco Bay Area annually. Following her studies at The Juilliard School and the Curtis Institute of Music, she has been broadcast on NPR’s “Performance Today”; performed at festivals including the Perlman Chamber Music Workshop, Aspen, Tanglewood, Verbier, and Taos; and featured as a teaching artist with Project 440 and the Savannah Music Festival. She has also served as violist of the Afiara Quartet, Quartet-in-Residence at the Royal Conservatory of Music in Toronto and visiting faculty at The Banff Centre in Alberta, Canada. Jessica is a graduate of Yale, where she received her Bachelor of Arts degree with honors and distinction. Her teachers have included Misha Amory, Michael Tree, Roberto Díaz, Steven Tenenbom, Heidi Castleman, Daniel Panner, Jenny Rudin, Jesse Levine, and Jodi Levitz. After a decade of surviving solid East Coast winters Jessica recently relocated to San Francisco, where she maintains a private studio, performs frequently with ensembles throughout Northern California including Chamber Music Silicon Valley and Ensemble San Francisco, and serves as the Director of Chamber Music at California Music Preparatory Academy. Marked by his expressive power and formidable technique in performance, Patrick Dalton-Holmes has been heard all over the United States, Europe, and Asia as a soloist and chamber musician. He has worked with a number of distinguished conductors including Michael Tilson Thomas and performed with prominent orchestras such as Detroit Symphony Orchestra as well as New World Symphony. Presently, Patrick serves as a member of the Indianapolis Symphony Orchestra while maintaining an active teaching schedule in Indianapolis. Prior to his time with The Pacific Crest Music Festival, Patrick has also participated at the Aspen Music Festival and the Music Academy of the West. Patrick has received his Bachelor of Music at the Cleveland Institute of Music and Graduate Performance Degree from University of Michigan. Prior to college, Patrick attended the Young Artist Program at the Cleveland Institute of Music where he studied with William Preucil, concertmaster of the Cleveland Orchestra. His other teachers included Paul Kantor, David Cerone, David Updegraff, Kathleen Winkler, and Peter Salaff. Taiwanese-American Zenas Hsu is a violinist with a passion for personal and entrepreneurial outreach to the communities around him. 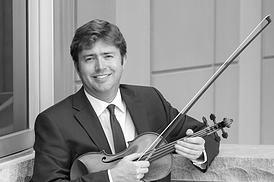 He is a founding member of Chamber Music by the Bay, a performance and educational series in the San Francisco Bay Area, and is concertmaster and an administrative member of Phoenix, a Boston ensemble dedicated to bringing uncompromised performances to the modern audience. He has also performed as a guest member of A Far Cry, the St. Paul Chamber Orchestra, the Orpheus Chamber Orchestra, and is a violinist of the Zaffre String Quartet. A native of California, Zenas was a student of Wei He at the San Francisco Conservatory. He was accepted at age sixteen to the Curtis Institute of Music to study with Ida Kavafian. Upon receiving his Bachelor of Music degree, Zenas pursued his Master of Music and Graduate Diploma degrees from the New England Conservatory of Music under the tutelage of Nicholas Kitchen and Donald Weilerstein. Born in the Czech Republic, clarinetist Renata Rakova specializes in contemporary music performance and is also a keen free-improviser. Renata's passion for contemporary music began during her undergraduate studies at the Bard Conservatory of Music where she played with the New-York-based ensemble Contemporaneous and premiered the clarinet concerto Triple Play by Harold Farberman with the American Symphony Orchestra. After moving back to Europe, Renata continued studying with the Klangforum Wien in Graz, Austria, earning her Master's degree in contemporary music in 2016. Renata's festival appearances include Klangspuren Schwaz with Ensemble Modern, Internationale Ferienkurse für Neue Musik in Darmstadt, Impuls Festival, Bard Music Festival, and New York String Orchestra Seminar. She has also worked with many living composers including Beat Furrer, Joan Tower and Juliana Hodkinson and has performed around Europe, China, Taiwan, Venezuela and USA. Her teachers include Olivier Vivares, David Krakauer, Laura Flax, and Milan Polak. She currently lives and works in Graz, Austria. Volti’s twenty professional singers, under the direction of founder and Artistic Director Robert Geary, are dedicated to the discovery, creation, and performance of new vocal music. The ensemble’s mission — to foster and showcase contemporary American music and composers, and to introduce contemporary vocal music from around the world to local audiences — has led to performances of a vast amount of new musicand to the commissioning of nearly 100 new works, by emerging as well as established composers. Hailed by San Francisco Classical Voice as “undoubtedly the finest collection of new music singers we have,” Volti has completed 37 seasons of exploration and innovation. Nationally recognized as a pioneer in new vocal music, Volti has won the prestigious ASCAP/Chorus America Award for Adventurous Programming of Contemporary Music six times, a testament to the fresh perspective and new voices the group brings to life. Art is redefined in every generation by the best and the brightest, artists who are paying attention to the world around them. Volti works with composers who explore timely issues. Found texts from an array of sources and poetry freshly composed give voice to andilluminate a broad spectrum of the human experience, and express spirituality in ways that push the boundaries of traditional sacred and classical sources. Through the exploration of the nexus between poetry and sound, Volti joins the creative process of a composer compelled to express this thing, at this time, in this way. At its best, this process can produce the aural equivalent of a sunspot — an explosion of energy, a flash of brilliance, maybe even a glimpse of some profound truth seen in a new and breathtaking way. Attending a Volti concert is like visiting a contemporary art gallery, stimulating the mind, the imagination and the heart. 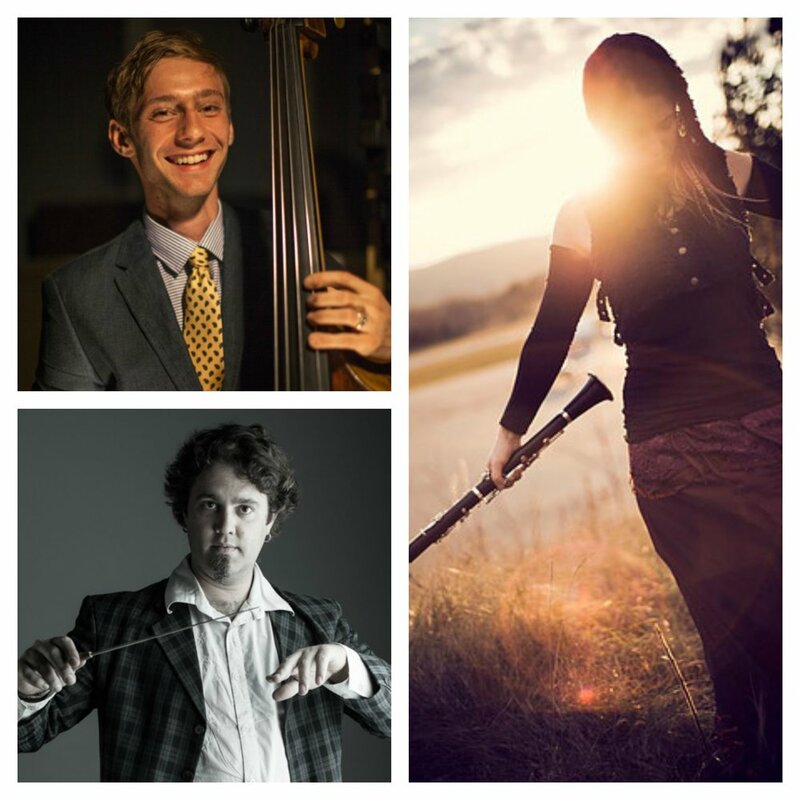 The New Moon Trio is comprised of three mainstay musicians of San Francisco’s vibrant Balkan folk music community, with a mission to both preserve and develop new works in the language of this tradition. Accordionist/pianist/saw player Dan Cantrell is an Emmy winning composer known for his soundtrack work on Cartoon Network's Marvelous Misadventures of Flapjack series and his innovative and energetic approach to documentary film and television scoring. Recent collaborators include: Tom Waits, Joanna Newsom, Beats Antique, the San Francisco Symphony, members of the Klezmatics, Brave Old World, and Fishbone. Schuyler Karr is a bassist, composer, and arts administrator based in the San Francisco. Specializing in the classical and jazz traditions, he has performed with Brad Mehldau, Joshua Redman, Jeff Ballard, the California, Santa Cruz and Modesto Symphonies, is a member of the One Found Sound chamber orchestra, and has performed chamber music with the Musical Art Quintet, the Real Vocal String Quartet, and the Amaranth Quartet. He has spent years performing with Balkan folk groups, and is a proud member of this local folk community. As an arts administrator, he served for a year as the Director of Performance Programming at the Red Poppy Art House, and currently directs the Diablo Jazz Company in public and private events. Vermont born clarinetist Morgan Nilsen has quickly risen in the Bay Area music scene as one of the most diverse and in demand clarinetists in San Francisco. She holds a B.M. in clarinet performance and ethnomusicology from the Eastman School of Music. After moving to the Bay Area in 2009, Morgan furthered her studies in Arabic and Balkan music with the Aswat Ensemble and at Balkan Camp Mendocino, and worked at Zambaleta World Music School as the school's first music coordinator. Nilsen teaches clarinet at the San Francisco School, the Mark Studio, Union Music, and privately to 3rd graders to age 65. On the weekends she can be found performing with some of the West Coast's best global music bands, playing an opera, or zipping by while on a bicycle music tour. Born in Montréal, Lucille Chung made her debut at the age of 10 with the Montréal Symphony Orchestra and Charles Dutoit. She has performed with over 55 orchestras around the world including the Philadelphia Orchestra, the Moscow Virtuosi and the BBC Wales with conductors such as Penderecki and Spivakov. Lucille has given solo recitals on the finest concert halls including the Kennedy Center, Carnegie Hall, the Concertgebouw in Amsterdam, the Wigmore Hall in London, and festivals around the world. Lucille is the First Prize Winner of the Stravinsky International Piano Competition and graduated from both the Curtis Institute and the Juilliard School before the age of 20. She then graduated from SMU, where she is now on the faculty. Lucille has been receiving excellent reviews for her discs of the complete works of Ligeti as well as Scriabin piano works. Her vast discography also includes works by Saint-Saëns, Poulenc, Mozart and Stravinsky. Lucille Chung's performances are sponsored by the Ross McKee Foundation. Violinist Luosha Fang made her concert debut at the age of eight, in Mozart’s Violin Concerto No. 3. Recently, she was featured as soloist with the West Virginia Symphony Orchestra in Sibelius’ Violin Concerto, and with the Louisville Orchestra in “Autumn” from Vivaldi’s Four Seasons. A winner of Astral’s 2013 National Auditions, Ms. Fang was also the winner of a 2015 S&R Foundation Washington Award, and was awarded the Silver Medal at the prestigious 2010 Fischoff National Chamber Music Competition, as the first violinist of the Chimeng Quartet, for whom she is also a founding member. Ms. Fang has been a regular guest artist with the Saint Paul Chamber Orchestra. Recently, she was featured as soloist in Mozart’s Sinfonia Concertante for Violin & Viola with the Suzhou Royal Chamber Orchestra in China, and upcoming will appear in Prokofiev’s Violin Concerto No. 2 with the Bay-Atlantic Symphony. She has premiered and recorded George Tsontakis’ double violin concerto Unforgettable for the Albany Symphony Orchestra, and also premiered Chinese composer Shen Yiwen’s violin concerto Mulan with the American Symphony Orchestra, under Leon Botstein. Ms. Fang has appeared at the Library of Congress, Italy’s Incontri in Terra di Siena Chamber Music Festival, the Rhinebeck Chamber Music Society, Chamber Music Society of Reading, Ravinia Festival’s Steans Institute for Young Artists, and the Marlboro, Aspen, Kneisel Hall, Music from Angel Fire, Norfolk Chamber Music, and Bard festivals. She returned to Marlboro Music this past summer. Ms. Fang came to the U.S. from China in 2005 on a Distinguished Scholarship in Classical Violin, to further her studies at the Bard College Conservatory of Music. After graduating from Bard with degrees in both Violin Performance and Russian Studies, she attended the Curtis Institute of Music, where she received a Diploma in 2014. She has also studied at the St. Petersburg Conservatory. In the fall of 2016, Ms. Fang began viola studies with Nobuko Imai at the Escuela Superior de Música Reina Sofía in Madrid. "Plush soprano" (NY Times) Sara LeMesh was born and raised in the San Francisco Bay Area where she studied both classical voice and piano. She went on to pursue her Bachelor of Music Degree in Vocal Performance from Rice University where she studied with esteemed mezzo-soprano, Susanne Mentzer. Sara further honed her skills at the Bard College-Conservatory of Music where she earned a Master's Degree in Vocal Performance and studied with soprano Dawn Upshaw and coach Kayo Iwama. Ms. LeMesh supplemented her musical experiences by performing both domestically and internationally, studying at the American Bach Soloists Academy, Aspen Music Festival, Music Academy of the West, Tanglewood Music Center, SongFest, and the Mozarteum Conservatory in Salzburg, Austria. Ms. LeMesh currently resides in her birthplace of San Francisco where she focuses upon her own compositions and performs locally as a singer-songwriter, welcoming influences from her classical training and passion for folk music. Ms. LeMesh is working on her debut album of original work written for voice and piano. Mark Streshinsky, stage director, joined West Edge Opera as Artistic Director in the fall of 2009 and became General Director in December 2012. West Edge produces new and rarely done operas in an abandoned 1912 beaux-artes train station in Oakland, California. Mark has created many critically acclaimed productions for the company, most recently directing productions of Handel’s Agrippina, Laura Kaminsky’s As One and Jake Heggie’s The End of The Affair. Major directing credits include productions at the Dallas, Miami, Cincinnati, Detroit and Seattle operas, Lyric Opera of Kansas City and Opera Theatre of St. Louis. He made his European debut at the Reina Sofia Opera House in Valencia, Spain in 2010, directing Massenet’s Manon. For Boston Baroque, Mark has directed Il ritorno d’Ulisse in Patria, Agrippina and most recently a period-instrument Magic Flute. In 2018 he will direct Beethoven’s Fidelio for the company. His Fire Opera, Machine, for which he wrote the libretto and directed the production was produced by Oakland’s The Crucible in 2012. Mark has also worked with several young artist programs, including vocal students at the San Francisco Conservatory of Music, Yale University, and the Peabody Conservatory. In demand as a freelance conductor and historical keyboardist in the Bay Area and beyond, Derek Tam is director of music at First Congregational Church of Berkeley, one of the major performance venues for classical music in the East Bay. A soloist, chamber musician, and accompanist on various historical keyboards, he has performed with numerous professional ensembles. Recent concerto performances include appearances with the Modesto Symphony Orchestra and Elevate Ensemble. He currently chairs the Youth Advisory Board of Early Music America. For information about upcoming concerts, visit www.dereksaihotam.com. 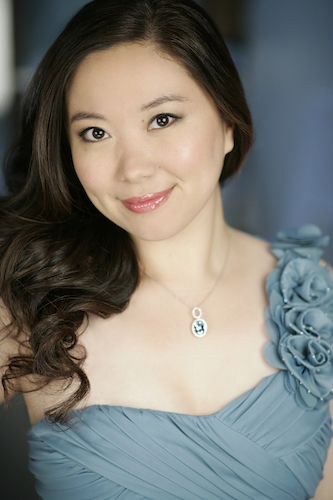 Ms. Boya Wei, from Harbin, China, has been praised by The New York Times for her “beautifully rounded soprano and exquisite expression,” and Opera News for her “delicate phrasing and pearly tone.” In October of 2015, Ms. Wei made her Lincoln Center debut singing as a soloist with the New York City Ballet in the David H. Koch Theater. Making appearances at Opera Saratoga, the Music Academy of the West, Crested Butte Music Festival, LoftOpera and Mannes Opera, Ms. Wei has studied and performed roles including Beatrice in Il Postino, the First Fairy in The Witches of Venice (the opera’s American premier), Gilda in Rigoletto, Suor Genovieffa in Suor Angelica, Susanna and Barbarina in Le Nozze di Figaro, Giulia in La Scala di Seta, the Contessa di Folleville in Il Viaggio a Reims, and Lauretta in Gianni Schicchi. Ms. Wei earned her Bachelor of Music from the Central Conservatory of Music in Beijing, and her Master of Music and Professional Studies Diploma from the Mannes College of Music, where she received the Michael Sisca Opera Award upon graduation. Ms. Wei is a finalist of the McCammon Biennial Voice Competition, a Grant winner of the Gerda Lissner Foundation International Vocal Competition, and an Eastern Region District Winner of the Metropolitan Opera National Council Auditions. The music of composer Luna Pearl Woolf has been praised for its “psychological nuances and emotional depth,” by the New York Times. Her works in opera, dramatic chamber music, silent film and music-storytelling have been commissioned by Carnegie Hall, Washington National Opera, Minnesota Sinfonia, Salle Bourgie, ECM+, as well as individual artists and festivals, collaborating with artists such as Joyce DiDonato, Frederica von Stade, Daniel Taylor, Lisa Delan, Christopher O’Riley, the Brentano String Quartet, and the Russian National Orchestra, as well as Academy Award-winner Jeremy Irons and author Cornelia Funke. This season the Washington National Opera, Francesca Zambello Artistic Director, premiered Better Gods, a new opera centered on Queen Lili‘uokalani and the overthrow of the Hawaiian monarchy, with librettist Caitlin Vincent. The sold-out production was directed by Ethan McSweeny and conducted by Timothy Myers. Woolf is the featured composer in The Washington Chorus’s New Music for a New Age series, performing Après Moi le Déluge, a post-Katrina lament for cello and choir, and The Pillar, recipient of Opera America’s 2014 Discovery Grant, conducted by Julian Wachner. Cellist Matt Haimovitz commissioned a new work as part of his Overtures to Bach tour and recoding. The piece, for solo cello piccolo, was premiered at Miller Theatre in New York City and released on the PENTATONE Oxingale Series. Montreal’s Musée des Beaux-Arts hosts a composer portrait evening of Woolf’s music, including One to One to One, a new commission responding to a major work in the museum’s permanent collection. Mélange à trois, Woolf’s wordless opera for violin, cello and percussion, commissioned by the BIK ensemble, opens the program. Woolf’s recorded music is available internationally on the Oxingale and PENTATONE labels. She has been featured on NPR, BBC, CBC, MPR and WNYC and in the New York Times, Associated Press, Wall Street Journal, Boston Globe, Opera News, Strings Magazine, New Music Box, and L’Opéra among others. Woolf founded the ground-breaking Oxingale Records with cellist Matt Haimovitz in 2000, garnering several GRAMMY, INDIE and JUNO nominations, and launched Oxingale Music in 2010, publishing the works of award winning composers.